This peak is #9 on the Height List for Nevada . This peak is #3 in Prominence List for Nevada .Don't confuse this peak with a volcano in Oregon. 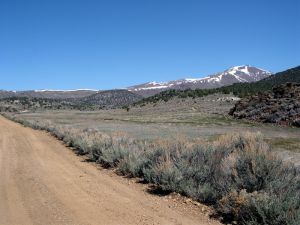 This Mount Jefferson is a long, high, mellow, multi-summited ridge located in the Toquima Range in west-central Nevada. The South Summit is the highest point. A north-south trending pack trail runs close to all three main summits.